The idea of a game trying to encourage role-playing can be off-putting. If you already role-play a lot, why do you need this? If you don’t like being in-character and want to tone-down RP, won’t this get in the way? Finally, isn’t D&D stealing from various recent indie games, with their rules to promote story resolution through various character aspects? Game designers don’t and should not design in a vacuum. They play tons of different games and love to create their own variants for play. We can look at the work Mike Mearls did on Iron Heroes for example, with new approaches to feats, magic, and other elements of 3E. Another example is the work Rob Schwalb did on the Song of Ice and Fire RPG. Designers usually love to incorporate new ideas and then tinker further. TSR and Wizards have both made various attempts to highlight a PC’s backstory or motivations and bring them to the fore. D&D has made minor stabs at it through Dragon (issue 208 is one old example, but there are others). With 4E it brought in background as a standard build element from the very beginning. Various campaigns highlighted that backstory, tying it to your PCs’ experience. 4E’s Dark Sun campaign setting added themes, all of which significantly tied the PC to the setting (as a desert merchant, as a member of a secret society, etc.). While other themes didn’t always drive interaction in this fashion, they did with the Neverwinter campaign setting and the accompanying Encounters season. Earlier than 4E we can find a really neat model in the Star Wars SAGA product (Rodney Thompson was one of the authors, along with Chris Perkins and Owen Stephens). You already get a fair bit of connection to the Star Wars setting through your class. A jedi’s tradition or a smuggler’s role all tie into the setting. SAGA introduces the Destiny. These are optional rules. If used, each PC can select a destiny – either during character creation or later as a result of play. The gamemaster can also select a secret destiny. In concept, the rules encourage PCs to make choices that further that destiny and provide mechanics to realize those goals.Several example destinies are provided, such as to discover something (person, species, location, etc.) or to gain redemption (redeem someone turned to evil, etc.). Each destiny has a bonus associated with it (such as a bonus to defenses or skill checks) gained when you further your destiny, a Penalty when you take actions that set the destiny back, and a permanent benefit if you fulfill your destiny. The Dawn of Defiance campaign for SAGA had it’s own way of using destinies to handle conventions and other “different player and DM every time” situations. We can look to an even earlier game, the sci-fi TSR game Alternity, to find Perks and Flaws in character generation. A PC could purchase up to 3 perks, giving up skill points (also a big development brought in by Alternity prior to 3E) to get them. Perks could include being Ambidextrous, being a Celebrity, or having Photo Memory. PCs could select up to 3 Flaws, and each provided bonus skill points. The DM is encouraged to use them in play. Examples include Infamy, Temper, and Oblivious.It won’t shock me in the least bit if some TSR scholars point out earlier examples. 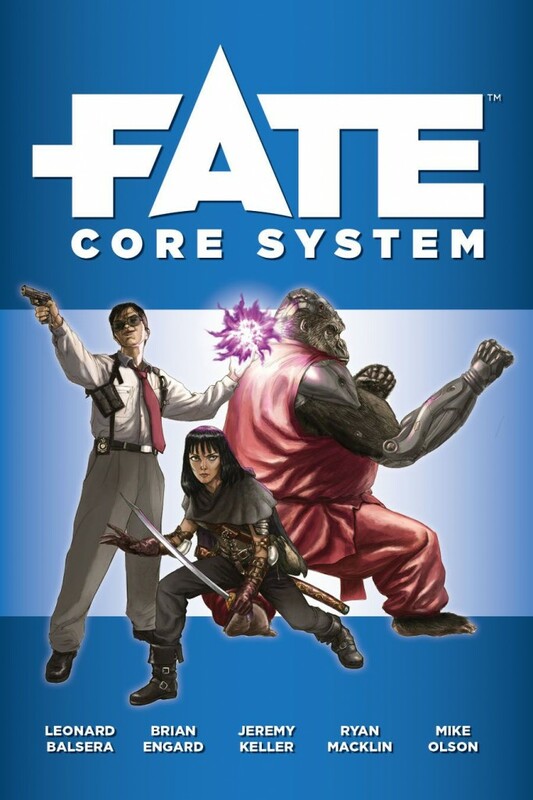 Back when Alternity came out it was popular to say that this was TSR stealing the concepts from games like Shadowrun. (Of course, isn’t every RPG stealing something from D&D by definition?) Shadowrun gave PCs the freedom to design their own skills based on interests, such as Urban Brawl teams (the violent football-with-weapons-and-cybergear-demolishing-many-blocks-per-game sport) or Origami. This encouraged player and DM to make these relevant during play. Various editions have built on earlier concepts to add a system of flaws and advantages, something also seen in Legend of the Five Rings. L5R is a pretty good example of this, with a point buy system and advantages and disadvantages costing or providing points. 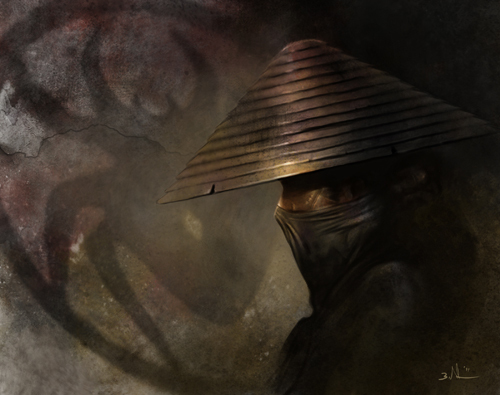 L5R’s system is on top of clan affiliation, which has deep impacts on how you relate to NPCs, PCs, and the setting itself. When my Dragon monk with the disadvantage that forces him to speak his mind was asked a probing question by the enemy Lion clan… yeah, that’s pretty fun! Many RPGs have experimented with bringing these kinds of angles more deeply into the game. Fate uses Aspects to define things typical of your character. They are often catchphrases, such as “Never backs down” or “No one can remember her face”. The DM can activate them, which gives you points you can use later for cool stuff, or you can spend points to prevent activation. Aspects even exist in campaign and NPC creation, and players and DM can work together to define them. When we played a Grim-styled Dresden Files campaign based in Portland, OR, we chose Aspects such as “Labor is Hairy” (all the dock workers, taxi drivers, and so on tended to be werecreatures), and “Fey are everywhere”. By the end of the evening of campaign creation every player had a deeper understanding of their PC’s relationship to the campaign than most campaigns after their third month of play! (You can hear the Misdirected Mark podcast discuss how Aspects impacted play in episode 72, around the 50 minute mark). 13th Age’s central skill system is around Backgrounds, which you use to validate benefits to any skill. I’m a tinkerer, so I might get bonuses to anything mechanical. More importantly, 13th Age has the “One Unique Thing” the reason why your PC is something exceptional. This can color everything and trigger tons of RP. I’ve seen an elf that loved a Dryad, but realized he had to move on. She cursed him, and if he ever stops moving he begins to grow roots. Did the DM work off of that when the PC was knocked prone and held for two rounds? You bet! The One Unique Things are big deals, triggering tons of RP. (I just received my book today and it is awesome! The pdf goes on sale in September, stores get them in August). Spycraft, L5R, 4E, SAGA, Alternity, and more. Lots of RPGs have tried to add motivational links to the character, extending the experience beyond mechanical features that govern what the PC can do. It is only natural for designers to feed off of one another and to then contribute their own ideas. The point of all these systems isn’t to tell you how to play. The point isn’t to make you do anything. The point of these systems is to facilitate you doing what you wanted to do. If you want to just chuck dice, these systems can give you a bonus here and there. 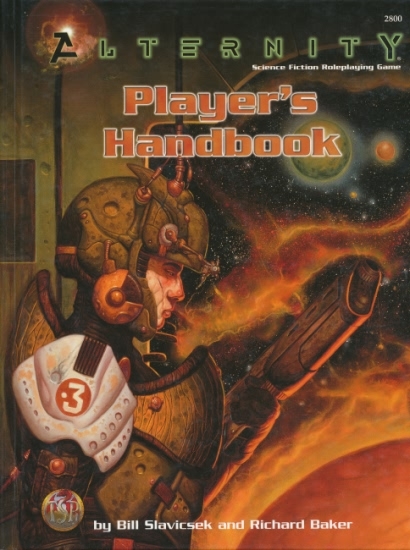 But if you want to have a deeper relationship with the setting, if you want to more fully explore who your character is, if you want to have a deeper connection to the NPCs and for them to react to you, if you want the DM to have more reasons for the campaign to be about you, then all of these systems make that happen more often and with less work. When your ex-race-car driver turned secret agent enters the villains hide-out and finds out the foe is none other than the man who stole the Indy 500 from him… that’s an awesome reveal by the DM and everyone reacts to that. When the room’s traps activate and a puzzle based on the lunar calendar is revealed and you shout that you have long studied celestial patterns, it’s your moment to shine. 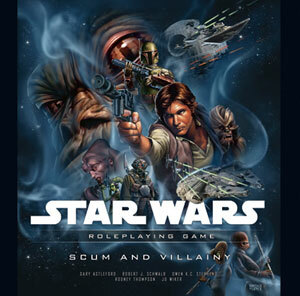 This entry was posted on October 20, 2015 by Alphastream and tagged 13th Age, 4E, 5E, Alternity, Backstory, Character Building, FATE, L5R, RPG History, Sci-Fi, Shadowrun, Spycraft, Star Wars.